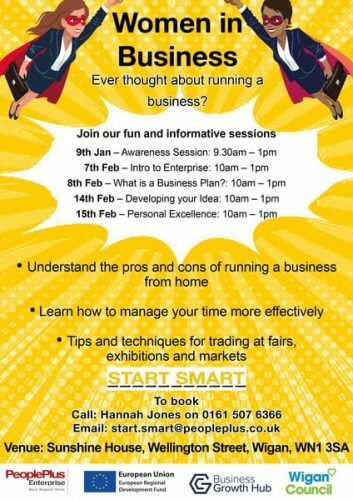 Calling all Wigan Women in Business!! Whatever stage your business is at, our fun and informative workshops will help you succeed. Join us in Wigan from 9th Jan – 15th Feb.